While the White House claims former VA Secretary Shulkin resigned, Shulkin disagrees, and that discrepancy is what two veterans groups claim make Trump’s choice unlawful. 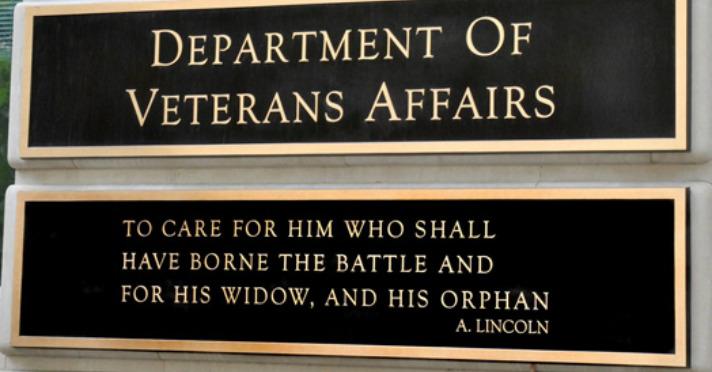 VoteVets, a veterans advocacy group, and Democracy Forward, a nonprofit legal organization, are suing the Trump Administration for naming Department of Defense official Robert Wilkie as acting VA secretary, claiming the choice is illegal. The lawsuit argues that Trump illegally bypassed the deputy of ousted VA Secretary David Shulkin, MD, Thomas Bowman, which circumvents federal statutes, including the Federal Vacancies Reform Act of 1998 and the Appointments Clause of the Constitution. "As a matter of law," according to the suit, Bowman should be leading the agency, not Wilkie. Further, while the Senate confirmed Bowman as deputy secretary, Wilkie did not undergo the same scrutiny. The White House claims that Shulkin resigned, while Shulkin has repeatedly told media outlets that he was fired due to his unwillingness to push privatization of the VA. And that discrepancy is what drives the lawsuit. The groups claim Bowman should legally be in charge of the VA. Trump announced Shulkin’s removal by Twitter on March 28, and according to the lawsuit, Trump lacked the legal authority to fill the vacancy. “The President may bypass the default order of succession, but only if the previous office holder dies, resigns, or is otherwise unable to serve in the office -- not if the previous officeholder is fired,” the suit reads. What concerns the groups the most is press reports that the Trump administration and some Congressional allies are attempting to privatize VA healthcare, the suit said. But privatization is beside the point: The issue is about who has the authority to make that decision. “And, more broadly, who possesses the authority to make the many day-to-day decisions regarding veterans’ benefits and care that the Secretary of Veterans Affairs has to make,” according to the lawsuit. This is just the latest move to remove Wilkie from the position. AMVETS, one of the nation’s largest veterans groups, wrote a letter to Trump last month to reconsider naming Wilkie to the position. And while they wouldn’t comment on the lawsuit, a spokesperson told Healthcare IT News the bigger issue is the temporary leadership. VA leadership has been in turmoil for the last few months, as some of the VA’s leadership have either been fired or resigned. The most recent was CIO Scott Blackburn, who stepped down in April after serving in the VA for four years. Trump named his former campaigner Camilo Sandoval as his acting replacement. Currently, the VA is waiting to sign a contract with Cerner to modernize its legacy EHR system to match DoD’s MHS Genesis project. While Wilkie said signing the EHR contract is a near-term priority, this lawsuit over his authority to do so may add another wrinkle to that plan. As of Wednesday, Trump has not named a new nominee for the position, after his initial replacement former White House physician Ronny Jackson, MD, withdrew last week over allegations of work misconduct.